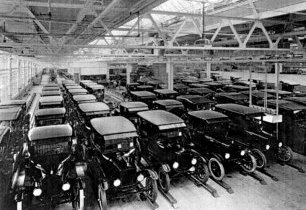 In History, we've been discussing Henry Ford and how he revolutionized transportation with the implementation of the assembly line in the creation of his cars. I decided to put our learning into action by using the assembly line format to make cars...made completely out of CANDY! all of the different parts together. Here's a diagram of the completed "car"
We divided into "factories" and each student got a "job." They did their job and then passed on the "car" to the next student down the line. 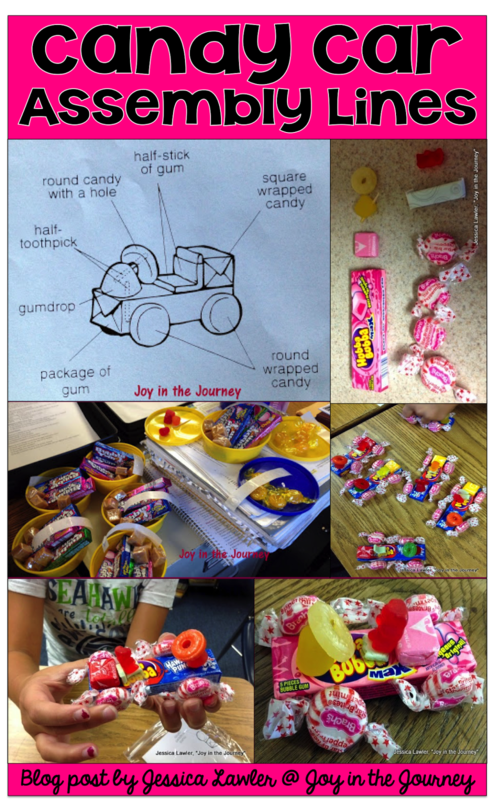 The kids took their "cars" home and were only allowed to eat them after they told their parents 5 facts about early transportation and Henry Ford's Model T!